Prostrate, freely-branched summer annual with inconspicuous purplish flowers forming mats 15 to 18 inches in diameter. Found throughout the southeast. Consist of 3 oblong leaflets (trifoliolate), 1/2 to 3/4 inch long and 1/3 to 1/2 as wide, obtuse at apex, narrowed at the base. 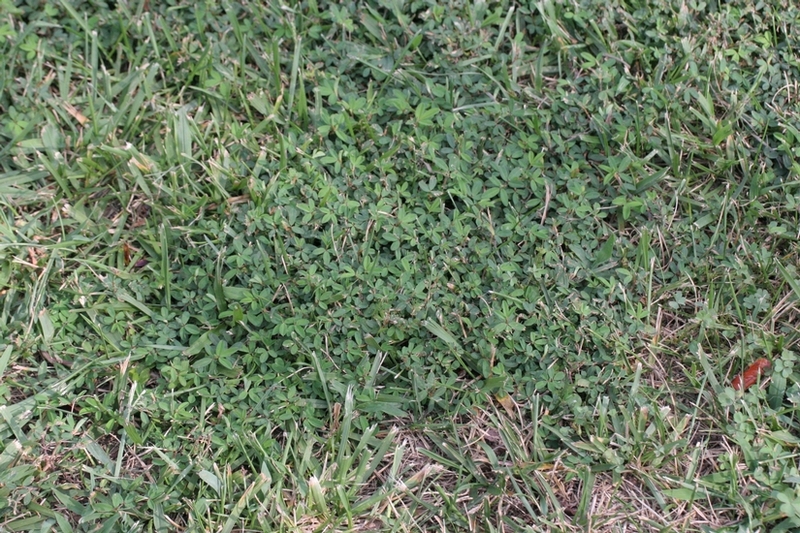 Leaflets without hairs except for appressed hairs along the margins and midvein beneath. Lance-shaped stipules are present, 3-6 mm long, becoming brownish with age. 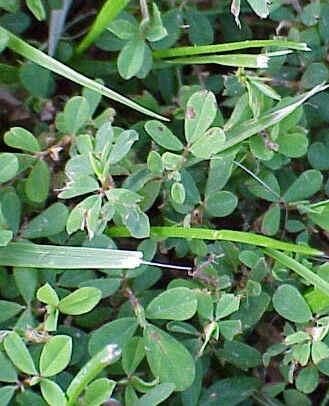 Petioles are 1-2 mm long, much shorter than the leaves. Freely-branched stems with sparsely to densely appressed hairs that are bent or turned downward (retrorse). Solitary or 2-5 in spike-like axillary racems, pink to purple. 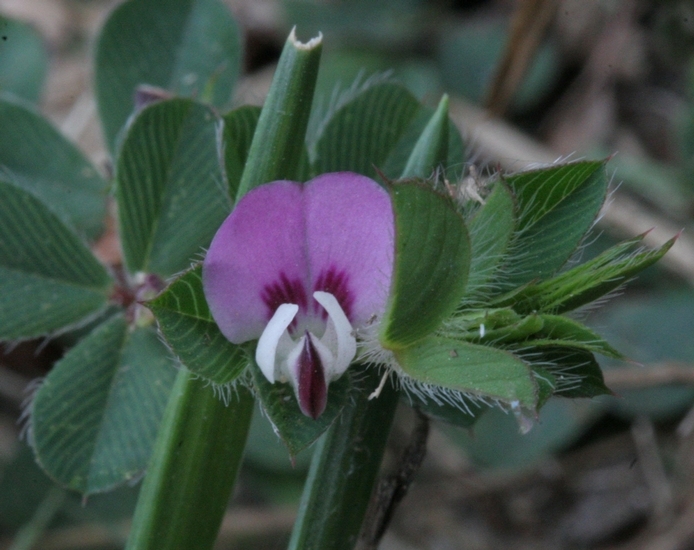 A legume that is 3-4 mm long, tapering to a pointed apex. 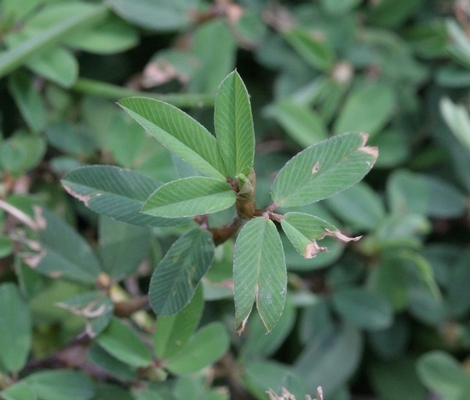 Trifoliolate leaves with lance-shaped stipules, hairs along leaf margins, and pink to purple flowers. 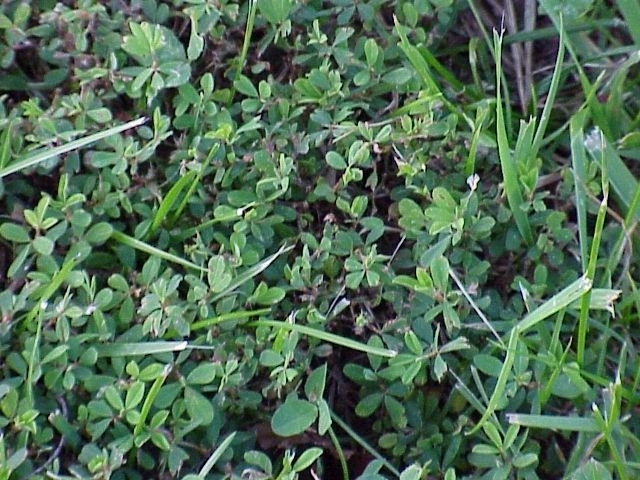 Common lespedeza is often confused with Black Medic (Medicago lupulina), however the small spur at the tip of each leaflet and yellow flowers or black medic help to distinguish the two weeds.